Today is a great to celebrate. Why you might ask. Well it is the Day of the Dude. 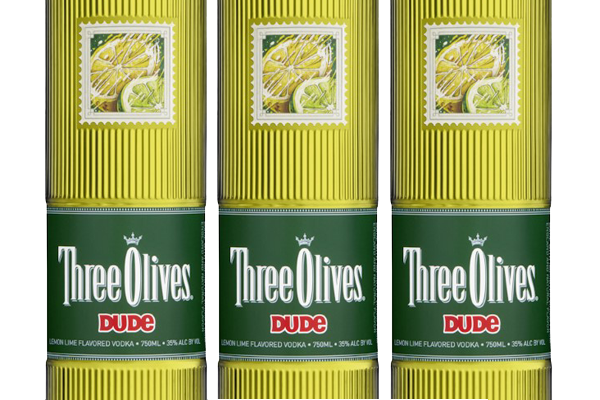 To celebrate the Day of the Dude, Three Olives Vodka is re-releasing Three Olives Dude for a limited time. Three Olives Dude is a wild fusion of imported vodka and the zingy taste of lemon and lime that tastes great on ice or mixed into a citrus cocktail. It’s only available on ReserveBar.com ($24) until March 10, so get it now before it’s gone forever. Combine all ingredients in a shaker with ice. 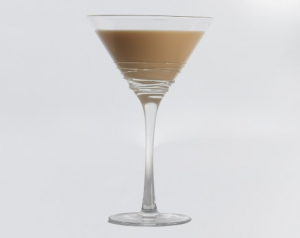 Shake/strain into your martini glass, chill and enjoy. Who is a fan of Curb Your Enthusiasm? If you are you will have a chance to win the complete Ninth Season on DVD. 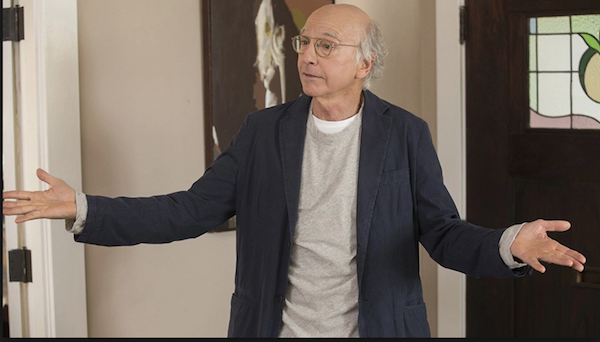 After six long years, Curb Your Enthusiasm is finally back! Find out what Larry, Jeff, Susie and the gang have been up to since Season 8, and catch up with the cast as they look back at memorable moments and hilarious deleted scenes when Curb Your Enthusiasm: The Complete Ninth Season is available DVD on March 6, 2018. In this season we get follow Larry as he dreams of a big idea that elicits promising feedback from a number of prospective investors – until a string of missteps undermines the plan, at least temporarily. Series favorites also make their return to this Emmy- and Golden Globe-winning comedy, including Jeff Garlin, Cheryl Hines, Susie Essman, and JB Smoove. 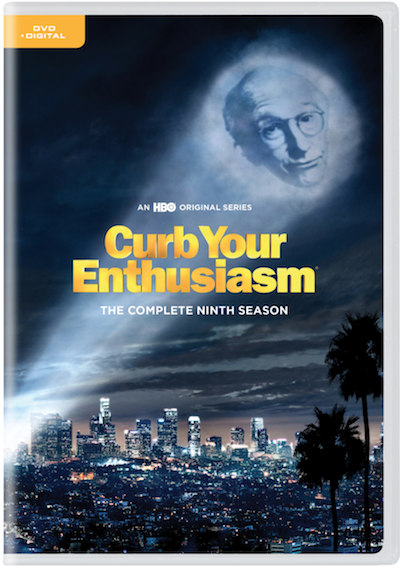 To win a copy of Curb Your Enthusiasm: The Complete Ninth Season on DVD just tweet at me who is your favorite character on Curb Your Enthusiasm. Good luck. Thank to HBO Home Entertainment for supplying a copy for us to giveaway. This month Reebok Classic launches the next iteration of its Always Classic Spring/Summer 2018 campaign by inviting renowned graffiti creatives Sany and Felipe Pantone to showcase what it means to be a classic with the Montana Cans Club C, Classic Leather and Workout sneakers. A brand that fiercely believes in those who challenge expectations and push their creative boundaries, Reebok’s new Always Classic campaign brings together the most disruptive and authentic style pioneers of this generation and unites them with Reebok Classic’s iconic Franchise Four collective; the Freestyle Hi, Classic Leather, Club C and Workout Plus. Celebrating this season’s Club C silhouette is Sany, the striking female leader in the male-dominated graffiti scene and Felipe Pantone, known for his contemporary kinetic and graffiti art. Born in ‘85, the Club C was made to perform on the court but changed the game to serve up style for the streets. This iconic silhouette has transcended cultural and style boundaries to become an essential streetwear staple and its striking look and attitude has always been its most true when it’s worn by people whose personal style makes a true mark on the world. Refusing to let go of the spray can and determined to bring girl power to the predominantly male graffiti scene, Sany has boldly tagged her place in the street art subculture and much like the Club C, she continues to serve up an expected statement on the streets. Felipe Pantone, with his boldly-colored geometric art installations, holds court at the intersection of street art and modern art and is a true representation of the Club C’s bold aesthetic. Reebok worked with Montana Cans, the renowned German manufacturer of one of the world’s best spray paints, to bring a fresh look to the Club C as well as the Classic Leather and Workout Plus. These classic silhouettes serve as the perfect canvases to the anonymity-prizing culture of graffiti art. Each colorway is inspired by Montana Cans colors, with intricate details such as the color number that is featured on each can replicated on the insole of each shoe. 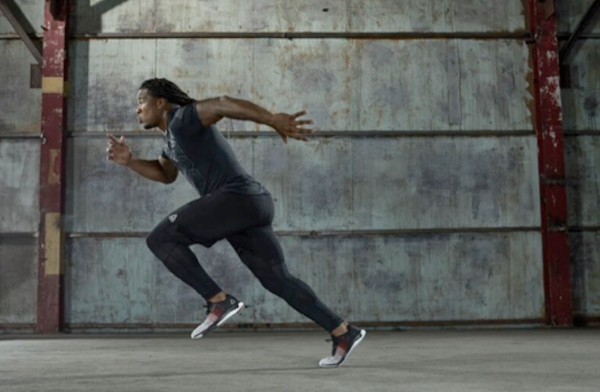 This month Reebok released Fast Flexweave, a dynamic running shoe built with Flexweave – a revolutionary technology that boasts the coveted balance of lightness, durability, fit and stability. Lot of people of loving the Moscow Mule. Is it your favorite cocktail? If that’s the case, we have some great news for you. 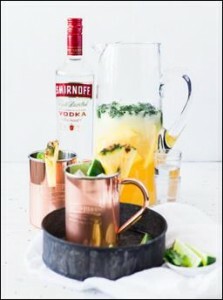 Make the delicious drink on March 3, which is National Moscow Mule Day! 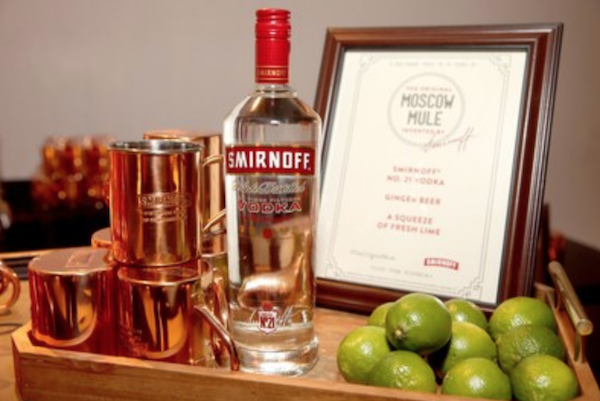 In Hollywood back in 1941, Smirnoff help to invent the Original Moscow Mule, and since the cocktail has been making a comeback in recent years, Smirnoff dubbed March 3 as National Moscow Mule Day. This year, we are celebrating the first anniversary of the holiday by raising a copper mug to the three people who invented this iconic, three ingredient cocktail on March 3rd. 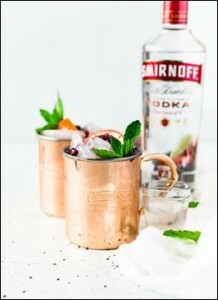 While the Original Moscow Mule recipe is very simple (1.5 oz Smirnoff No. 21 Vodka, 4 oz of ginger beer and a lime wedge), it can be customized in a variety of ways. Below are some unique and delicious Moscow Mule recipes and photos to help you celebrate National Moscow Mule day the right way. 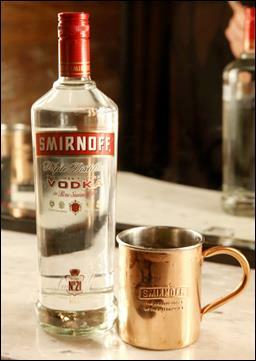 In a copper mug, add the mint leaves, lime juice and vodka. Add ice, then pour over the blood orange juice and ginger beer. Stir gently and garnish with sliced blood orange, mint leaves, and pomegranate arils. In a pitcher add the chopped pineapple and cilantro. Cut the lime in the half and squeeze it into the pitcher, then drop the lime remains into the pitcher. Slowly stir in the pineapple juice, followed by the ginger beer and vodka. Pour over copper mugs filled with ice and enjoy! Combine Smirnoff No. 21 & ginger beer over ice in a copper mug. Add a squeeze of lime and enjoy! The future of automobiles could be found in Miami. 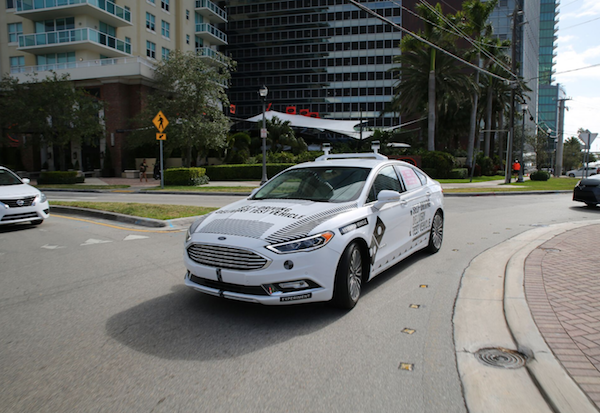 In partnership with Miami-Dade County, Ford recently announced the launch of its first self-driving vehicle business in Miami and Miami Beach. 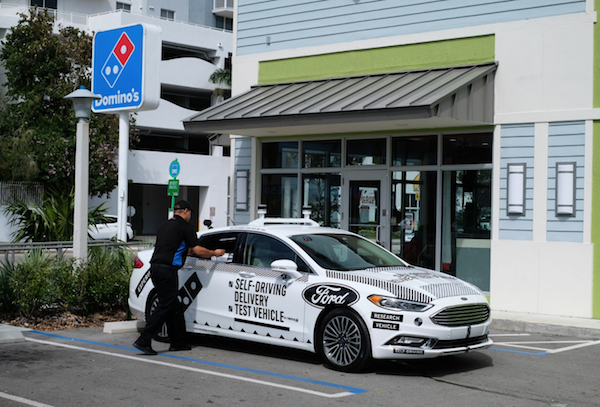 Working with partners Postmates and Domino’s, Ford will test and research the customer experience with autonomous delivery, looking at how customers will interact with a self-driving car to get their food or groceries, how far they are willing to walk and most importantly what they will enjoy about the experience. The establishment of Ford’s first autonomous vehicle operations terminal close to downtown Miami, which will house fleet vehicles for developing Ford’s vehicle management processes. 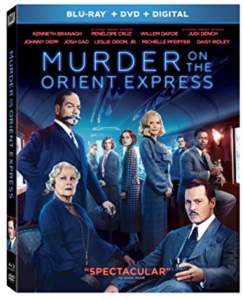 If you are looking for a classic film that will keep you guessing all along the way you need to pick up Murder On The Orient Express. Kenneth Branagh directs and leads an all-star cast, including Johnny Depp, Michelle Pfeiffer, Penélope Cruz, Judi Dench and Leslie Odom, Jr., in this stylish, suspenseful and thrilling mystery based on the best-selling novel by Agatha Christie. Everyone’s a suspect when a murder is committed on a lavish train ride, and a brilliant detective must race against time to solve the puzzle before the killer strikes again. t-part documentary, eleven deleted scenes, commentary by Branagh and much more. If you are looking to celebrate with Guinness this year on St. Patrick’s Day know that it is the 200th anniversary of Guinness sharing the holiday with America. It is the latest reminder of the two-century connection between a legendary brewery and its good friends across the Atlantic. Once again, in the days and weeks leading up to March 17, it’s time for us all to embrace the stories we tell, the memories we make and the bonds we build over a pint of Guinness. The Guinness brand is encouraging all Americans, 21 years and older, to make a simple pledge (assuming they’ve already promised to drink responsibly, of course): gather with friends, new or old, toast to the many things we all have in common…and give a ‘Stache. Indeed, this St. Patrick’s Day, the Guinness ‘Stache – that unmistakable hint of foam left behind on the upper lip after the first sip of stout – is back as a symbol of the goodness and the Irish-ness that lives within all of us. From now through March 31, 2018, when adult beer lovers share photos of their ‘Staches – self-grown and groomed, drawn-on, or Guinness-enhanced – on social media (tagging @GuinnessUS and using #StacheForCharity), Guinness will donate $1 (up to $100,000) to the Guinness Gives Back Fund*, which supports nonprofits that contribute to the common good in our communities, including Team Rubicon, a veteran-led disaster response organization. The symbol of the ‘Stache will appear alongside Guinness brand activity at bars and restaurants and on social media throughout the St. Patrick’s Day season, including in some digital content that pays homage to 200 years of mustaches in America. To spread the word about the bonds a ‘Stache can build, the brand is releasing additional digital content that will help us all reflect on the friendships we cherish – and some very recognizable Guinness fans will also get involved in spreading the word. In addition, it’s time for the latest limited-edition Guinness Draught cans, which will hit shelves in time for St. Patrick’s Day. The ongoing series celebrates the famed Guinness ad campaigns of the 1930s and ‘50s. While it doesn’t have a mustache, the kinkajou – which we thought was a sloth at first – will be featured on this version. To keep an eye on everything the Guinness brand is doing and to get in on the ‘Stache action, follow @GuinnessUS on Twitter, Instagram and Facebook. Whether you’re making a new friend or meeting an old one, having a Guinness Draught, or ordering up any other Guinness beer this St. Patrick’s Day, please respect the beer and drink responsibly. If you haven’t seen Black Panther in theaters yet I have ask you one question? Why not? I saw it last week and it was an amazing film on many levels. In the film, which takes place after the events of Marvel Studios’ Captain America: Civil War, the character T’Challa (Black Panther) returns home to the isolated, technologically advanced African nation of Wakanda to take his place as king. T’Challa’s sister sets him up with some unbelievable tech. One item from the ridiculous tech is the the Lexus LC 500. In the clip below you get to see where movie magic and real life come together. 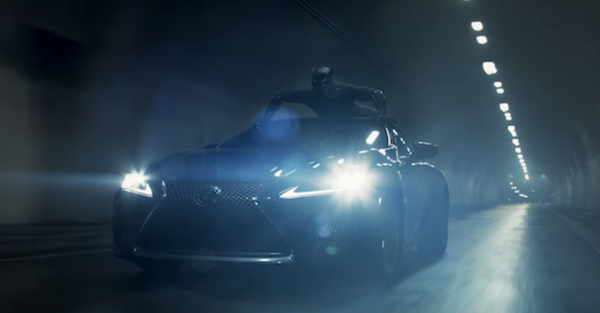 Watch “The Road Ahead,” a thrilling 30-second spot resulting from Marvel Studios’ collaboration with Lexus on its highly-anticipated film, Black Panther, in which the 2018 Lexus LC 500 is featured alongside the title character in an exciting chase sequence. If you missed out on the New York Toy Fair then you missed out on some fantastic news from HASBRO. They are constantly working to create innovative and exciting new products that cater to the unique needs of consumers and fans. In 2018, they take that pledge one step further with the launch of HASLAB! Announced at this year’s Toy Fair, HASLAB is Hasbro’s new platform that hopes to put dream products into the hands of fans. 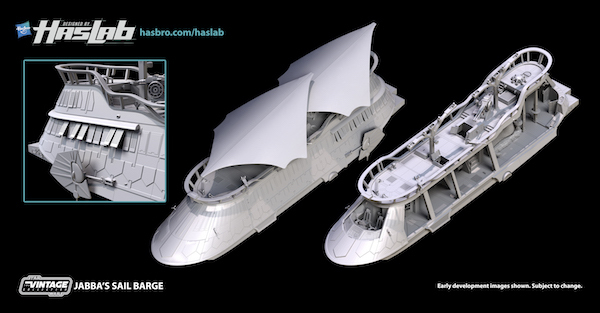 They announced that the first HASLAB item is the biggest Star Wars vehicle Hasbro and Kenner have ever produced – fan favorite JABBA’S SAIL BARGE! Measuring approximately 4 feet long, this large scale, highly detailed item features premium deco and vintage packaging. An incredible addition to any collection, Jabba’s Sail Barge comes complete with exquisitely-detailed and fan accessible interior/exterior decks, one Jabba the Hutt 3.75-inch scale figure, two soft-cloth fabric sails, and other realistic features that mimic one of the most notorious vehicles in the Star Wars universe. HASLAB takes inspiration from other platforms by inviting participants to support the product by backing the project up front by placing a pre-order. You’re our only hope to make Jabba’s Sail Barge a reality! For Jabba’s Sail Barge to go into production, Hasbro must meet a certain minimum threshold of 5,000 pre-orders. It’s up to the fans to support the campaign and help successfully reach that goal by 11:59pm ET on April 3rd, 2018. 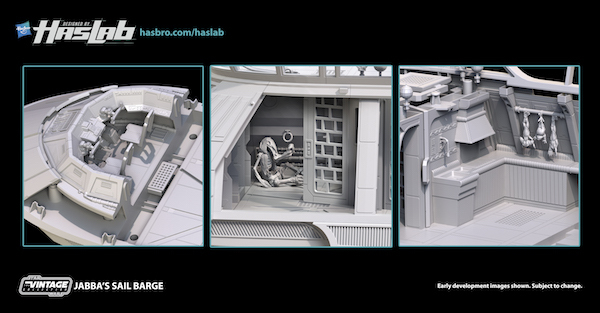 Those who pre-order the item will also receive “Jabba’s Sail Barge (The Khetanna): Behind The Workbench,” a premium, 64-page booklet that goes behind the scenes of the design and development of the actual Sail Barge film set piece and Hasbro toy and includes set photos, product blueprints, interviews, and more. 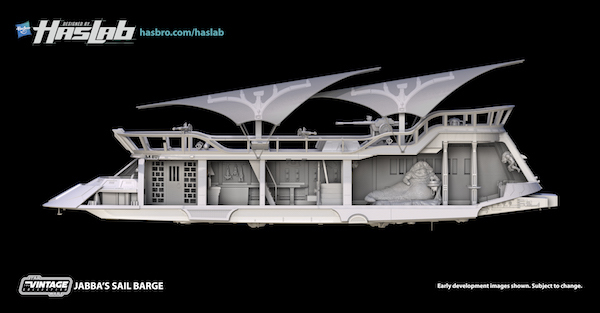 Starting today, fans can place a pre-order for Jabba’s Sail Barge at HASBRO.COM/HASLAB. If the goal is met, the product will go into production. For more information on HASLAB and to follow the project’s progress throughout the 45 day pre-order window, visit HASBRO.COM/HASLAB.